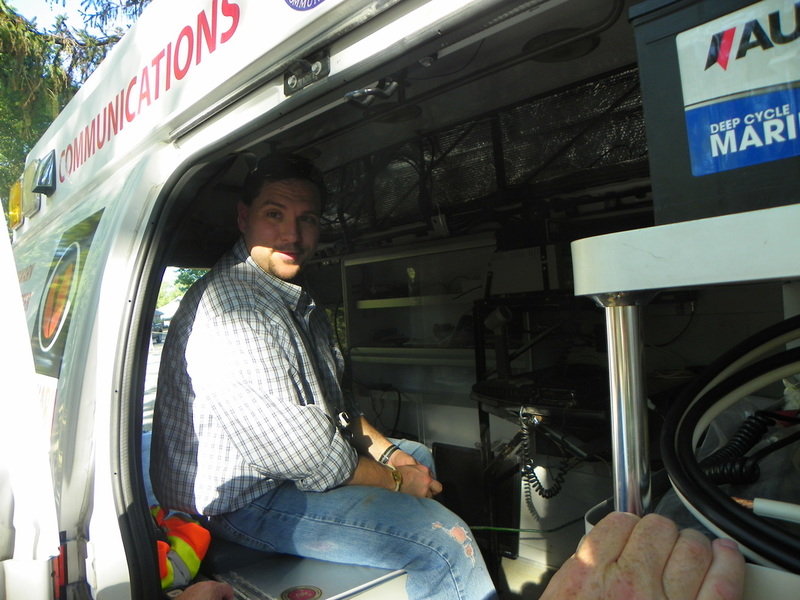 Looking in the back of the communications van. 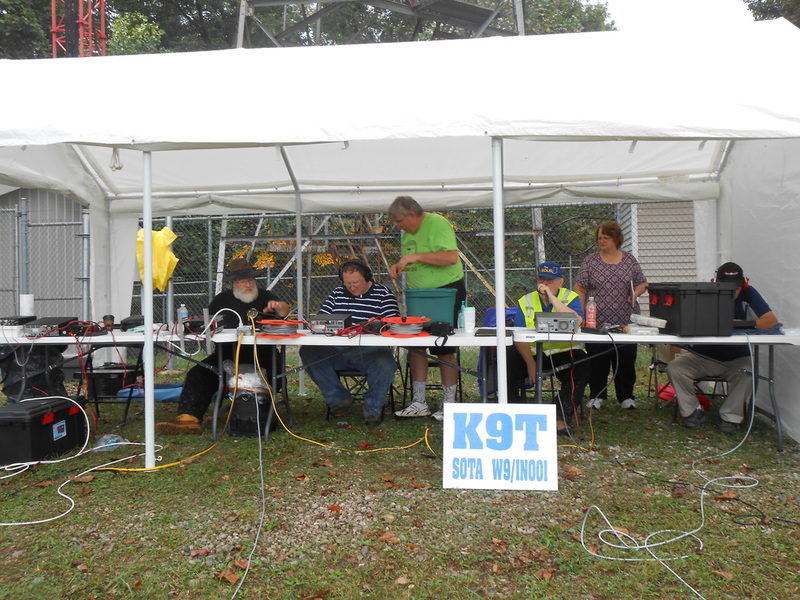 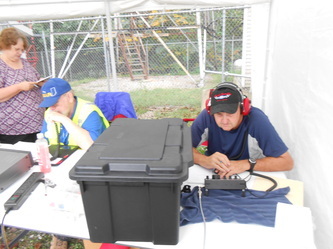 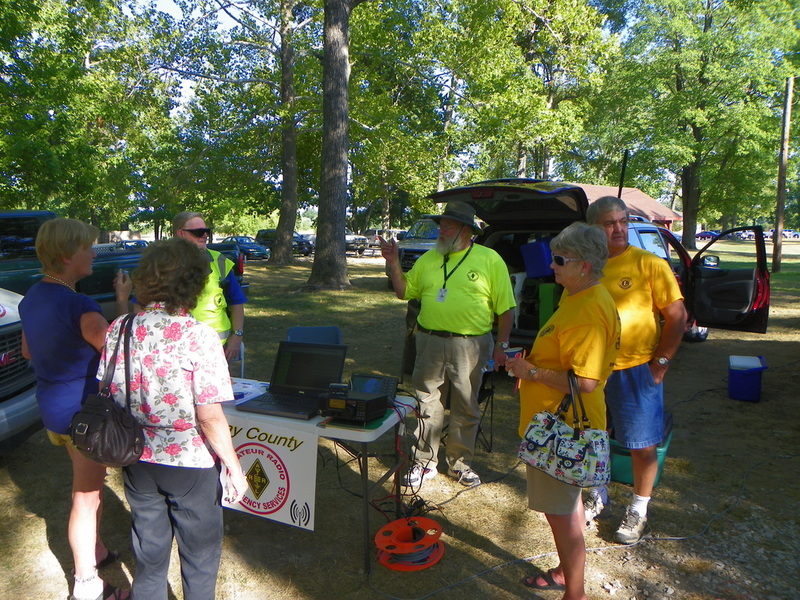 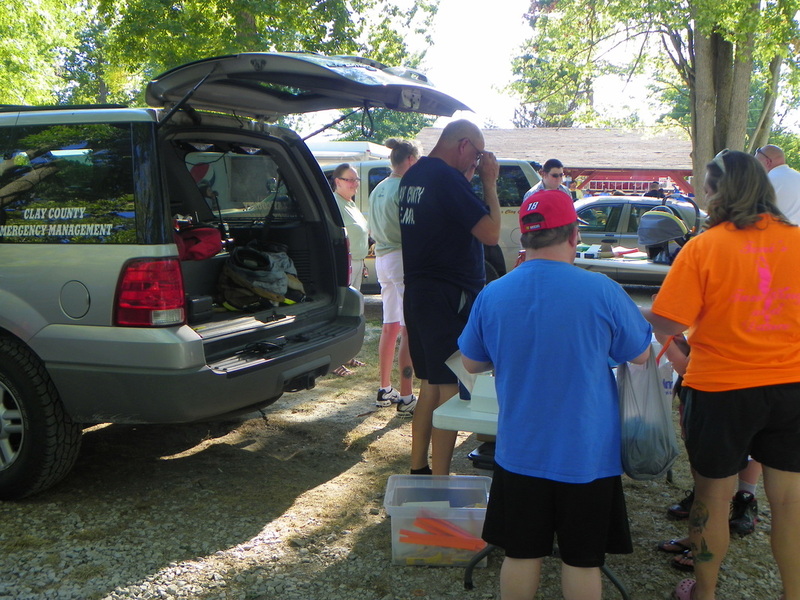 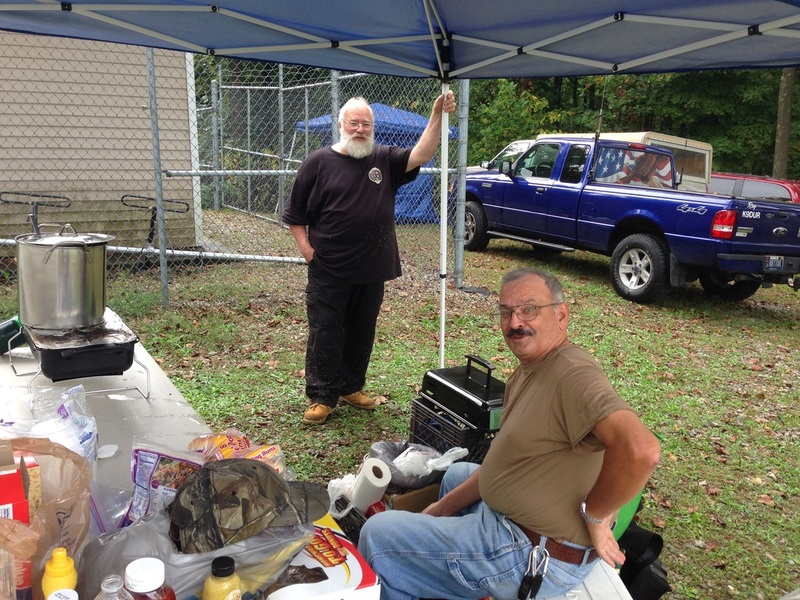 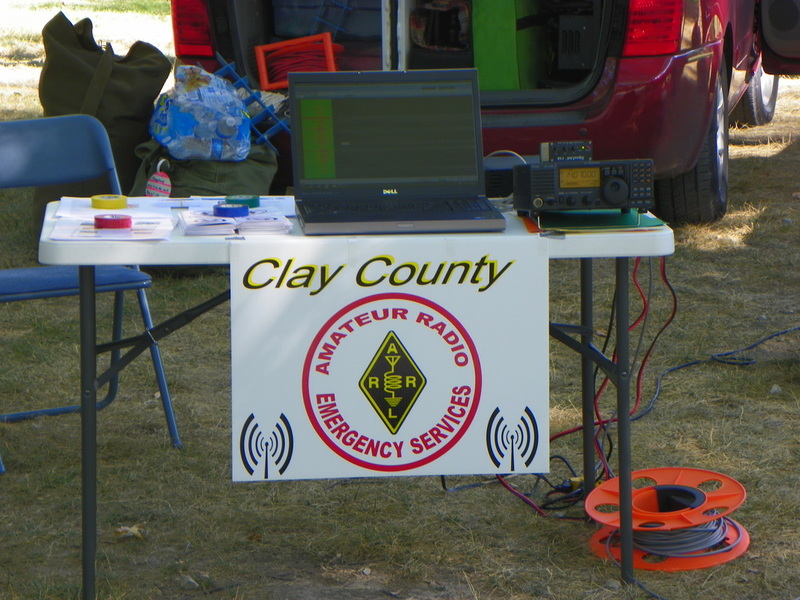 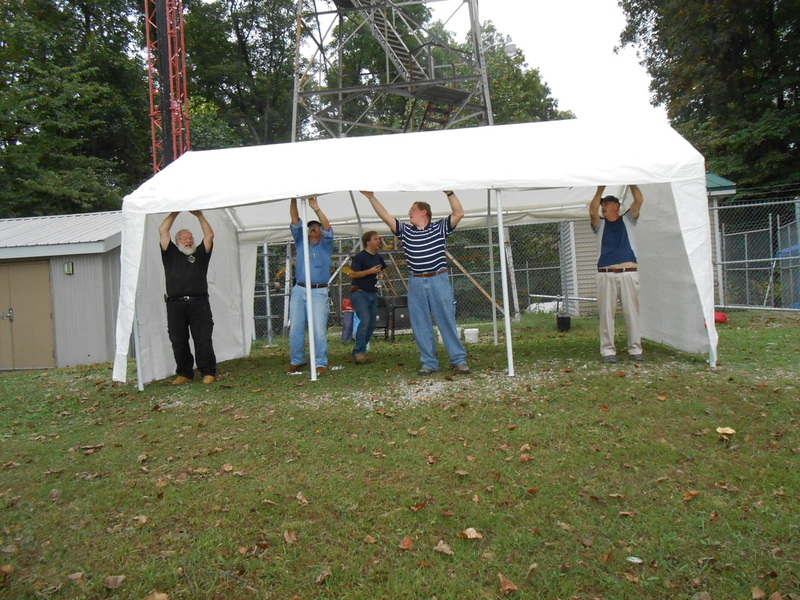 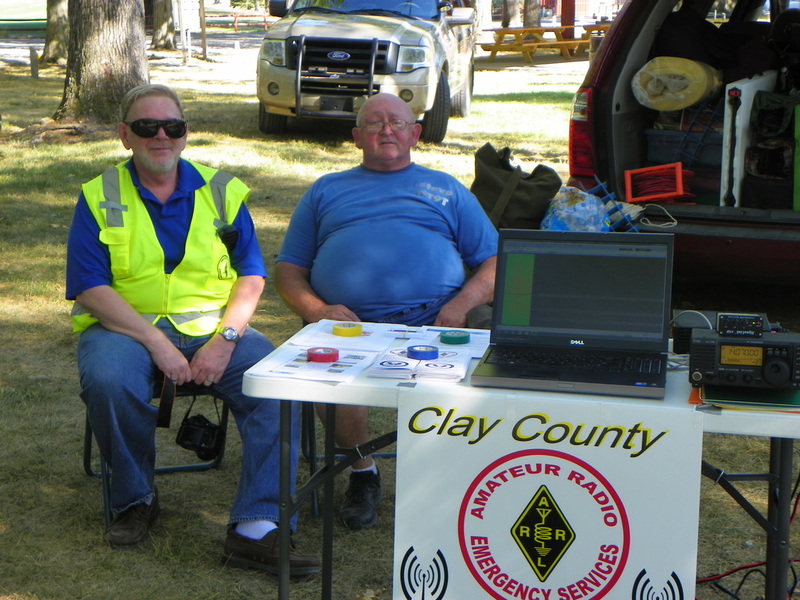 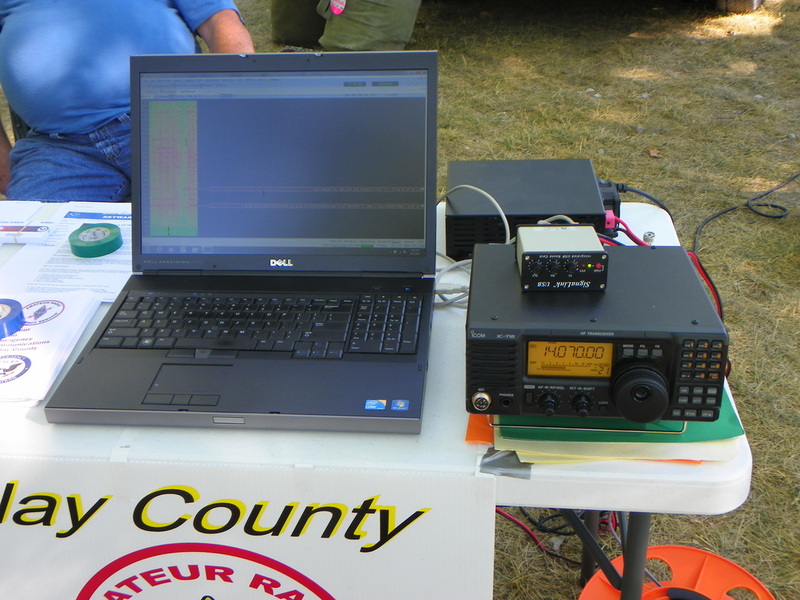 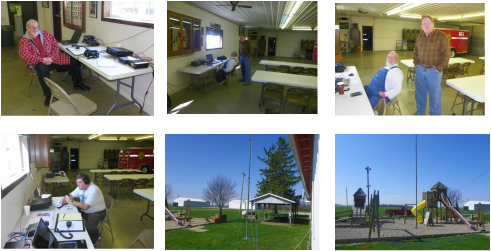 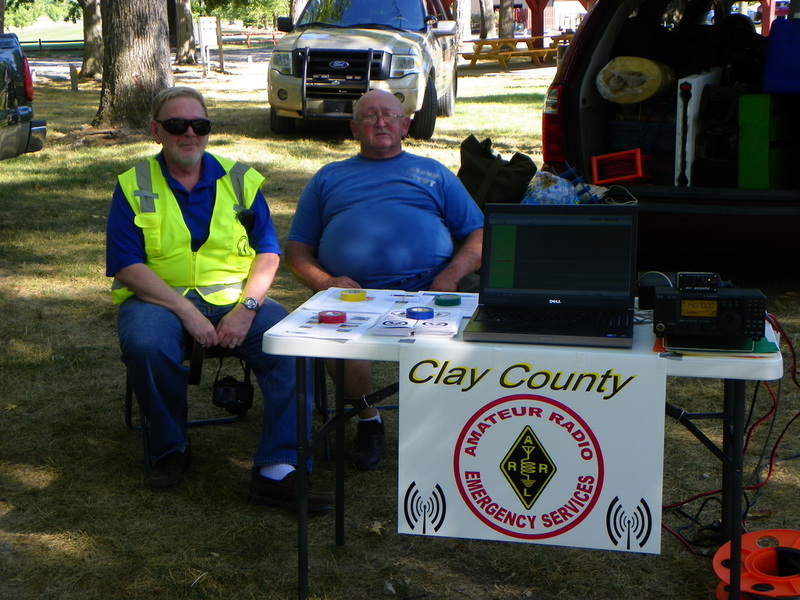 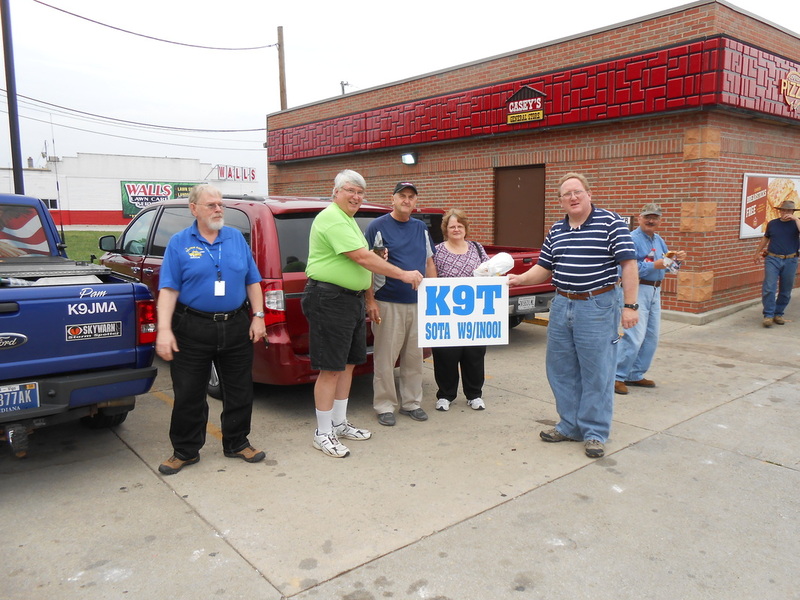 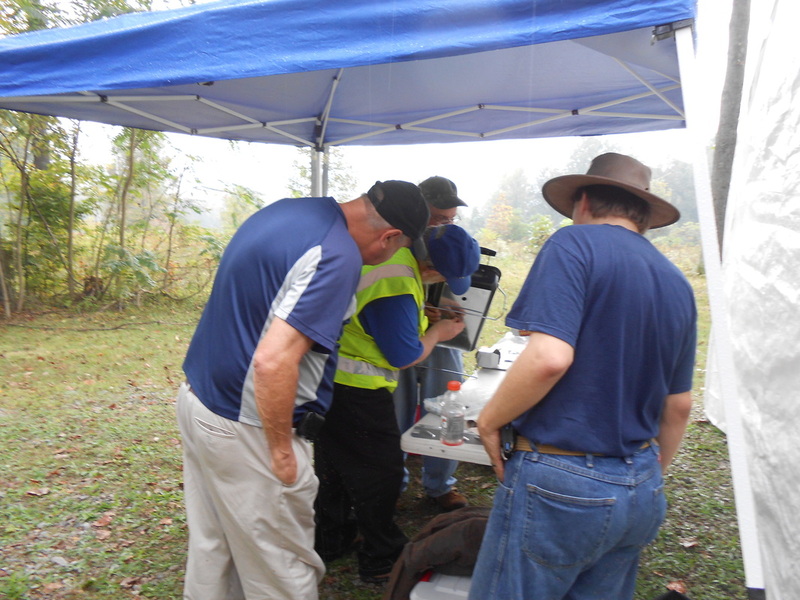 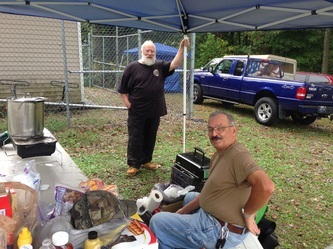 Ray, K9DUR, & Steve, NT9T, manning the information table. 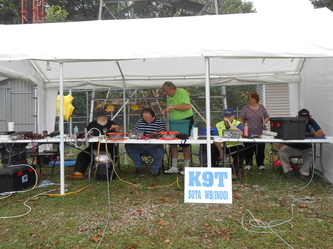 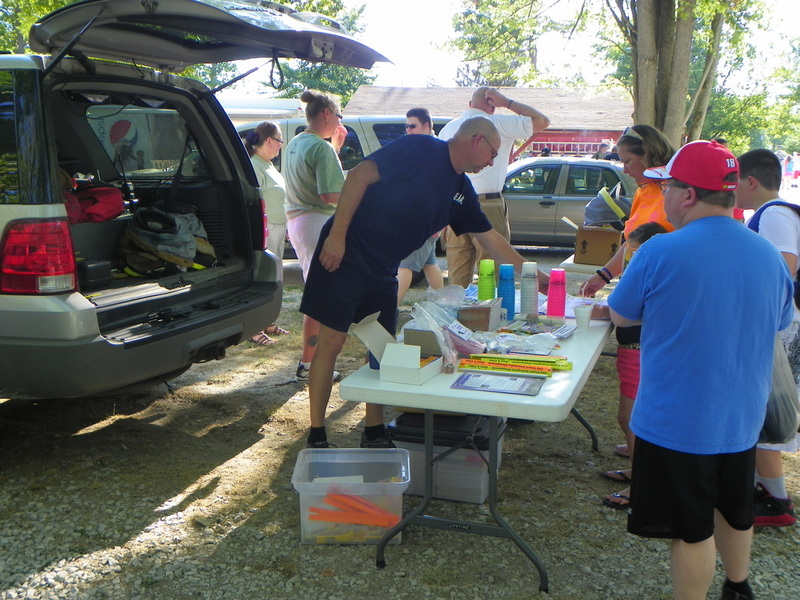 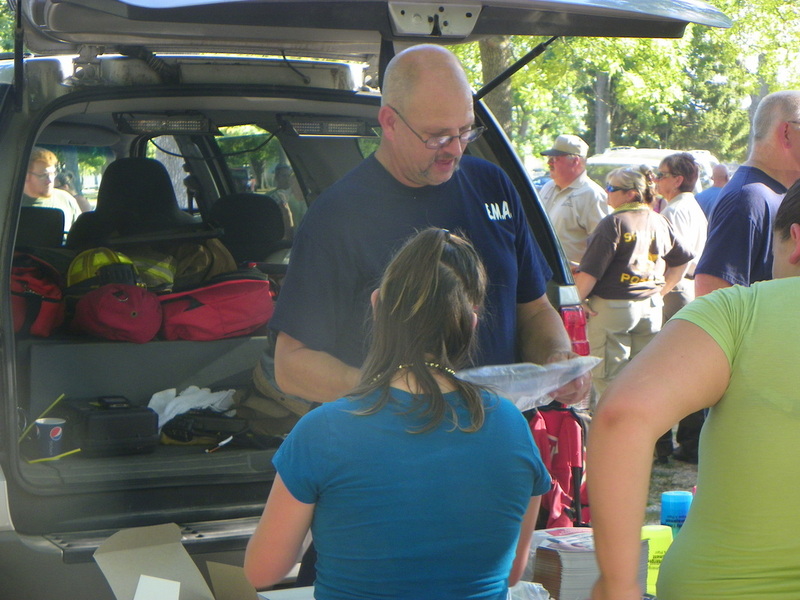 Ray, K9DUR, & Steve, NT9T, at the information table. 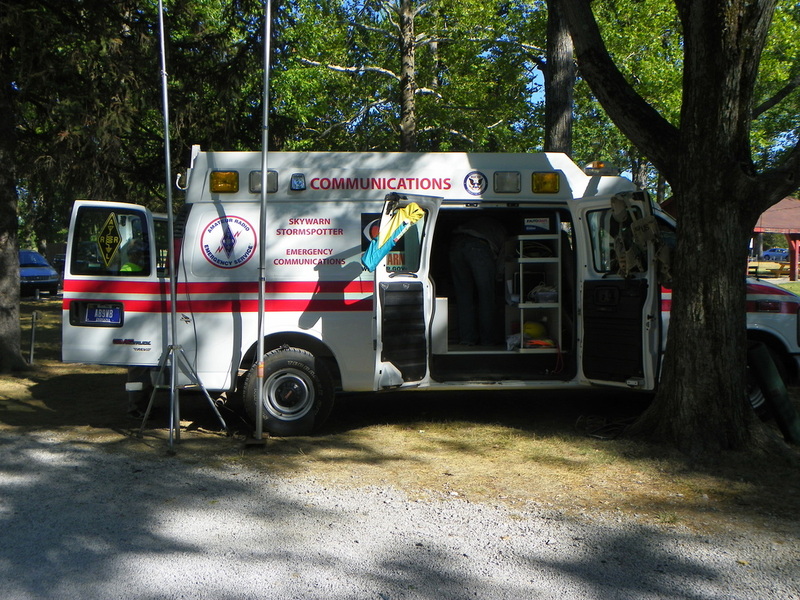 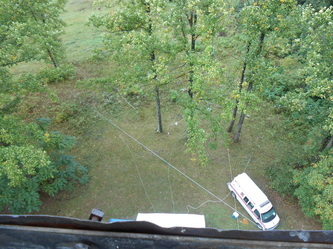 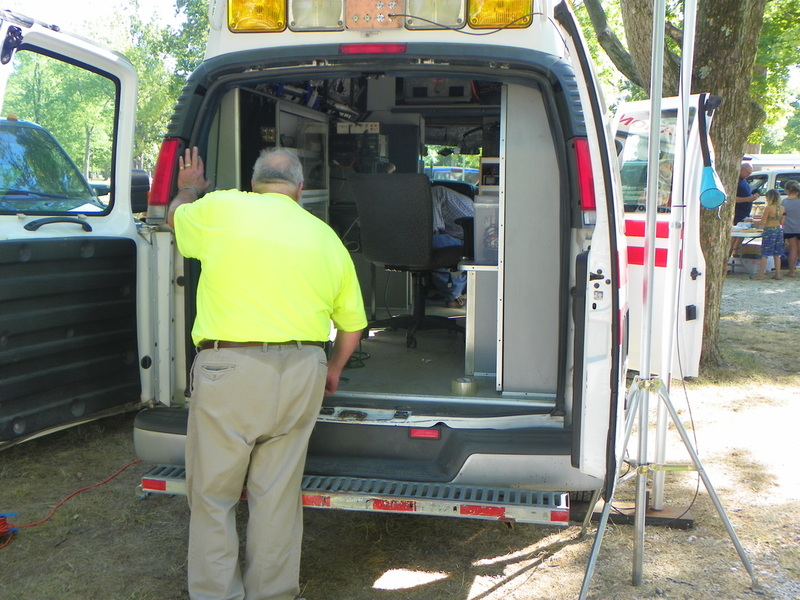 John, AK9DR, at the communications van operating position. 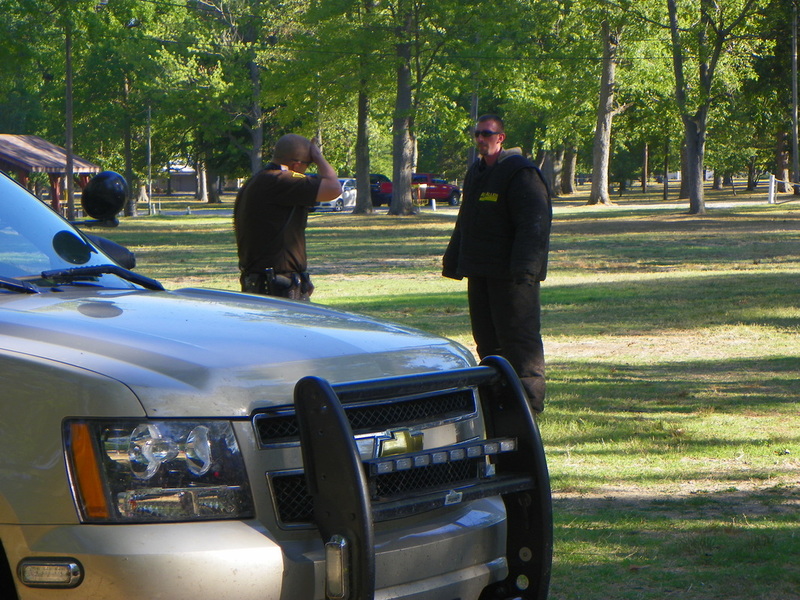 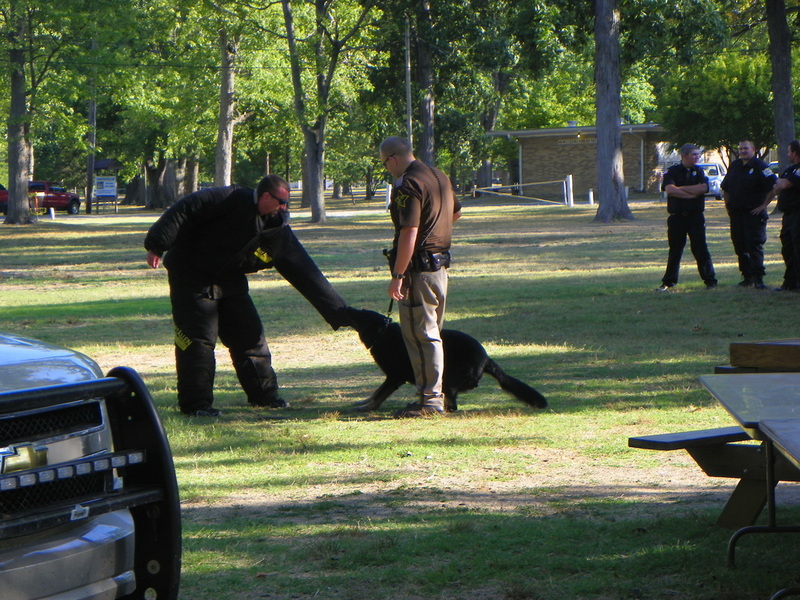 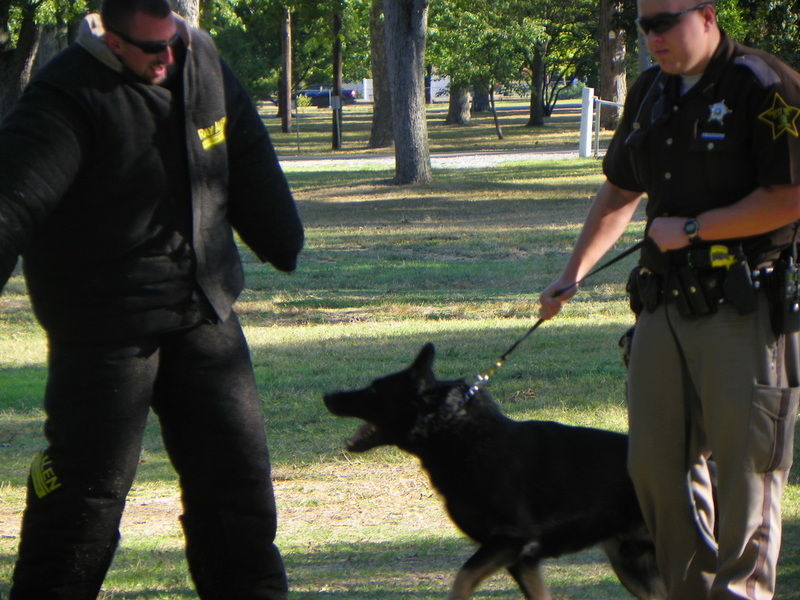 Ray, K9DUR, & George, AB9WB, talking to several visitors.